Following months of negotiations, the UK and the EU have agreed on the UK’s exit arrangements from the EU (the “Withdrawal Agreement”), which details the process of how the UK will leave the EU, and a political declaration (the “Political Declaration”), which outlines the framework for the future relationship between the UK and the EU after Brexit. The Withdrawal Agreement is almost 600 pages in length and details the proposed arrangements in relation to the UK’s exit from the EU, which cover key areas from citizens’ rights, the jurisdiction of the European Court of Justice, trade and the Irish border. The Withdrawal Agreement will need to be ratified by UK and European parliaments in order for the Brexit deal to become legally binding and formally agreed. The UK Parliament will vote on the terms of the Withdrawal Agreement on 11 December 2018, following five days of parliamentary debate on the deal. If the Withdrawal Agreement is approved by the UK Parliament on 11 December 2018, then it could be ratified by the EU Parliament at the EU summit in Brussels on 13 and 14 December 2018. However, if the Withdrawal Agreement is not approved by the UK Parliament, then the UK government will have until 21 January 2019 to formally agree a Brexit deal with the EU. 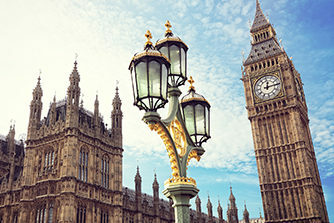 If the UK government is unable to do so, it will have to make a statement to the UK Parliament outlining the government’s Brexit proposals, which must then be approved by the UK Parliament, in advance of the UK’s departure from the EU on 29 March 2019. The Political Declaration does not have legal force but will politically bind the UK and the EU in relation to the future relationship areas that can be negotiated following the UK’s exit from the EU. The UK and the EU are committed to establishing an "ambitious, broad, deep and flexible partnership across trade and economic cooperation, law enforcement and criminal justice, foreign policy, security and defence and wider areas of cooperation”. A summary of the key provisions contained within the Political Declaration are laid out below. Any future relationship must respect the sovereignty of the UK and the integrity of the EU’s single market, in addition to the UK’s development of an independent trade policy beyond its economic partnership with the EU. Trade in goods should continue to be as close as possible but there must be a level playing field, which ensures open and fair competition. Trade in services must be based on a system of equivalence, which should have regard to existing equivalence frameworks currently in place for countries that are outside of the EU. The UK and the EU will aim to negotiate the details in this sector by the end of June 2020. The economic partnership between the UK and the EU should ensure that there are no tariffs, fees, charges or quantitative restrictions across all sectors. The principle of free movement of persons between the UK and the EU will no longer apply and mobility arrangements will be introduced. Such mobility arrangements will include providing for visa-free travel between the UK and the EU for short-term visits. The UK and the EU will seek to establish a broad, comprehensive and balanced security partnership, which will take into account geographic proximity and evolving threats, such as terrorism and cyber-attacks. If a dispute arises regarding the interpretation of EU law, the European Court of Justice will act as the sole arbiter and can apply a binding ruling. The UK and the EU will consider facilitative arrangements and technologies in order to develop any alternative arrangements to prevent a hard border in Ireland.